Very Good. 0091955106 Your purchase benefits those with developmental disabilities to live a better quality of life. minimal wear on edges and corners minimal stais on edges and cover. New. Transform your home into a permanently clear and clutter-free space with the incredible KonMari Method. 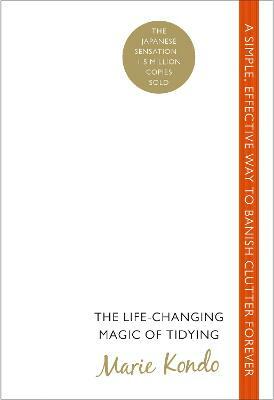 This title helps you tidy your rooms once and for all with inspirational step-by-step method. Num Pages: 256 pages. BIC Classification: VSP; WK. Category: (G) General (US: Trade). Dimension: 200 x 136 x 21. Weight in Grams: 256. 2014. Paperback.....We ship daily from our Bookshop.